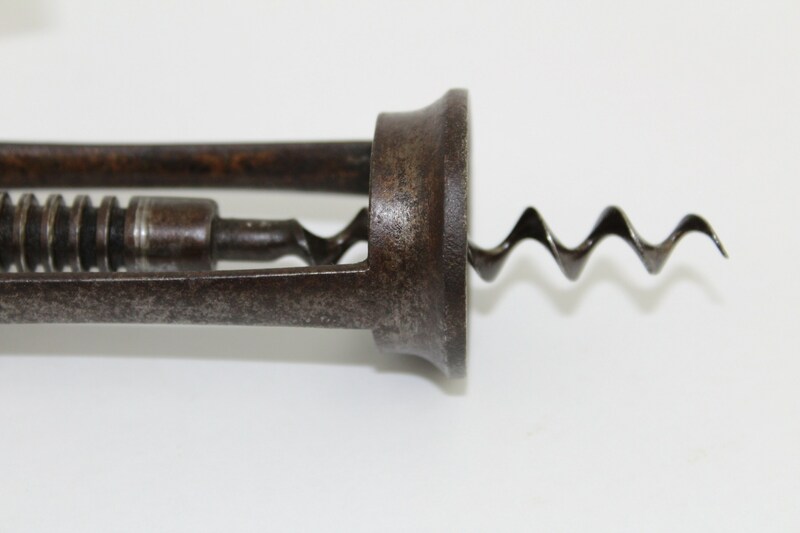 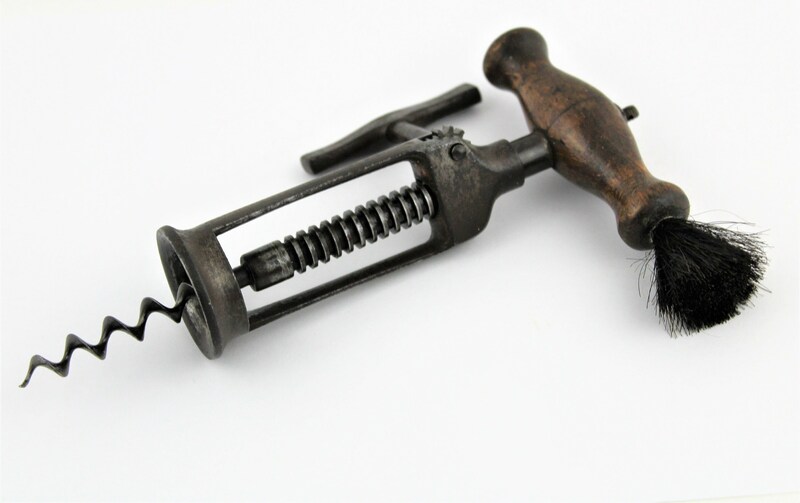 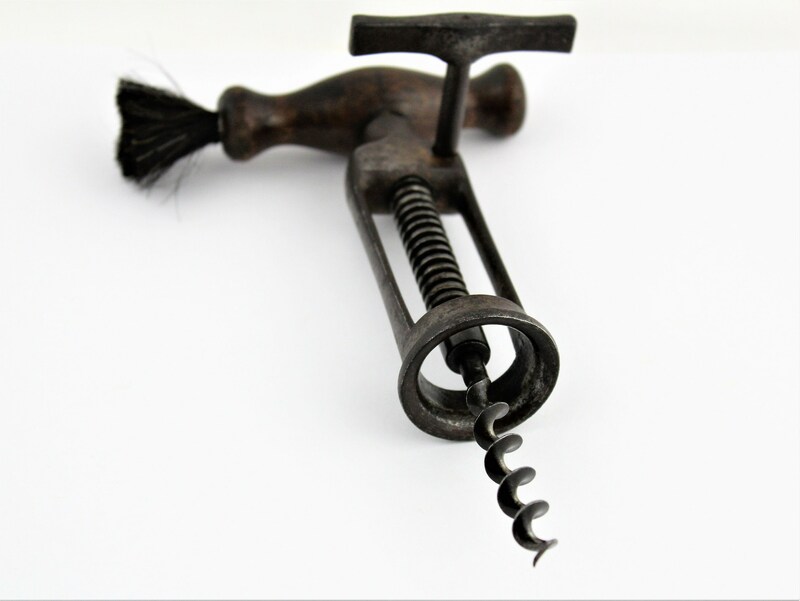 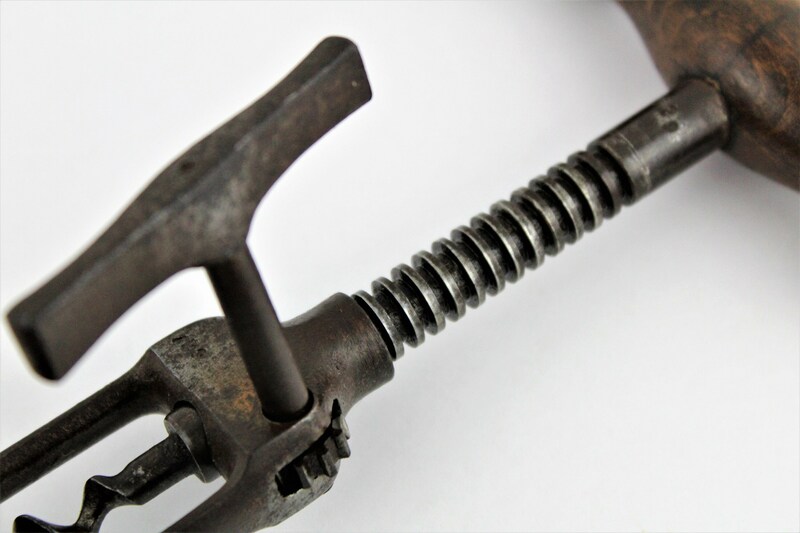 Wonderful engineering on this English Rack & Pinion design corkscrew with horse hair dusting brush. 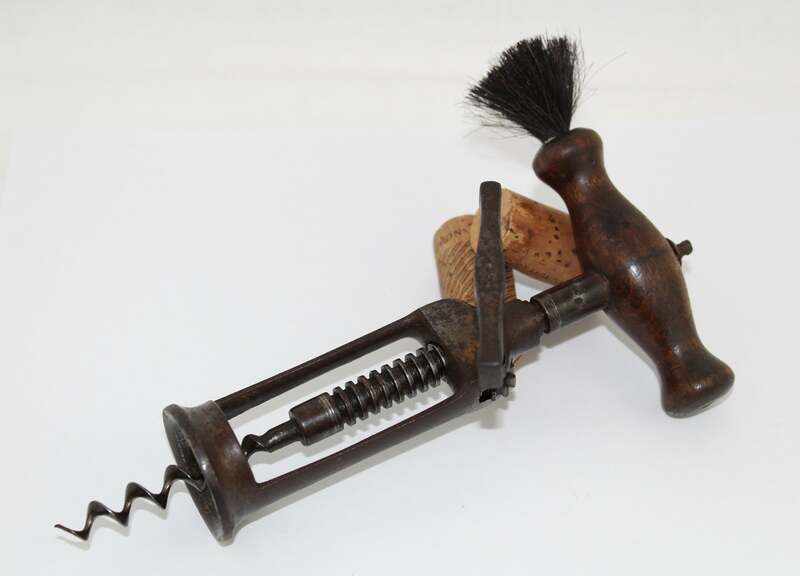 To use this in the 1800s you would have ventured down to the dirt root cellar chosen a bottle from the rack used the dusting brush to clean the dust and dirt off the bottle then opened your wine. 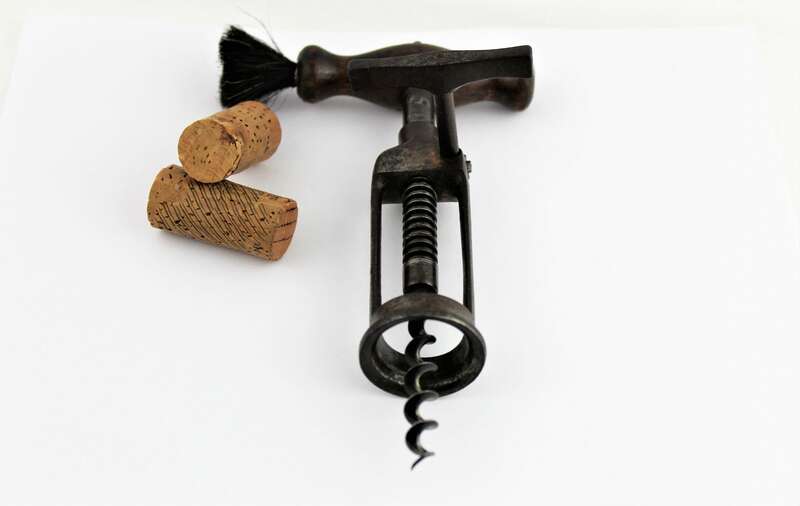 Very simple to use placed the corkscrew over the bottle twist the wood handle driving the worm (screw) into the cork then twist the metal handle clockwise to raise the cork from the bottle. 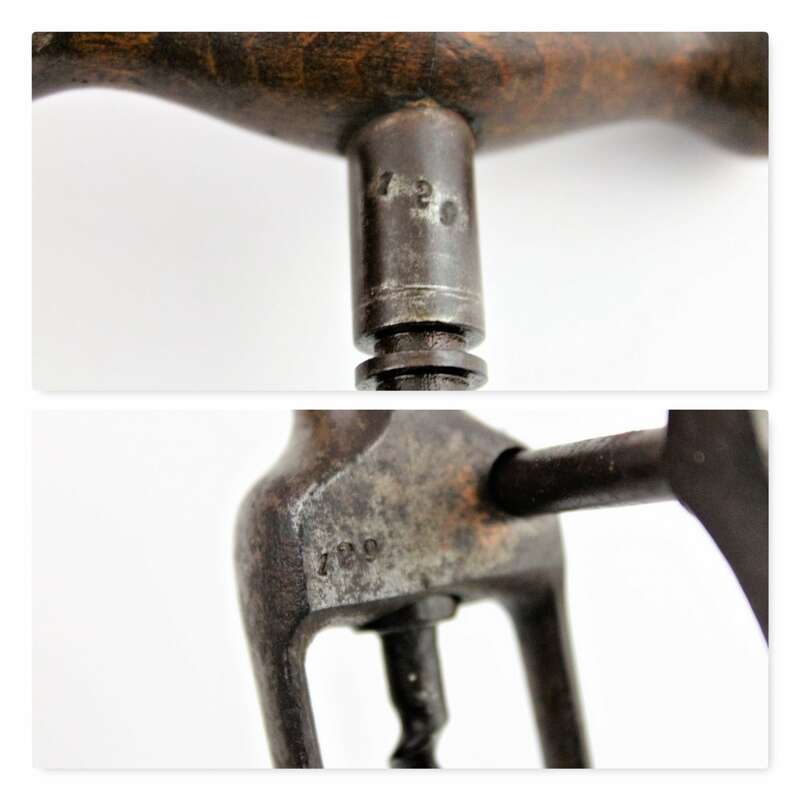 This is marked with the # 129 on the frame and on the shank just below handle, not quite sure what the purpose of the number is. 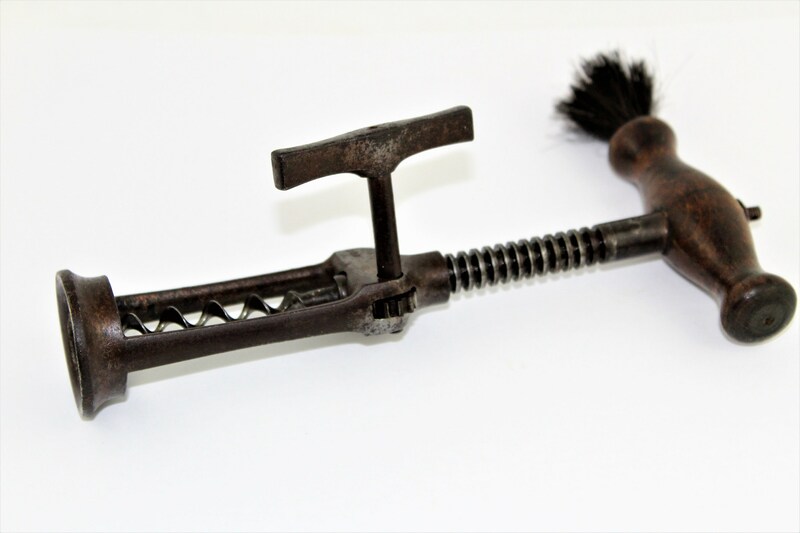 This is a perfect gift or addition to a collection. 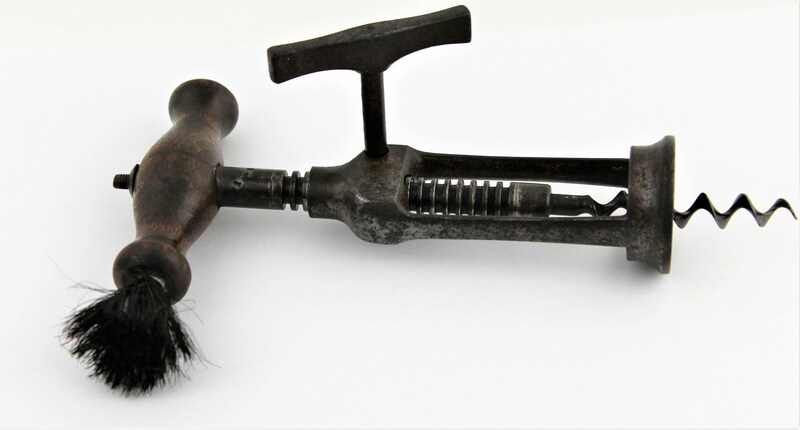 Has been cleaned and oil works perfectly.